Yes, we put on “TV” so our kid would leave us alone. More than once. It’s all down hill from here; we were on the slippery slope to buying a TV to mount in her bedroom and teaching her to turn it on every morning without getting out of her crib. Luckily, the time change saved us from making decisions out of sleep deprivation. In all seriousness, though, I am amazed at how much energy Nora has. She’s like the energizer bunny. And if anyone has spring fever, it’s her. She goes up to the door and asks to go out now. Yesterday she went for two walks…and actually walked instead of riding in the stroller. 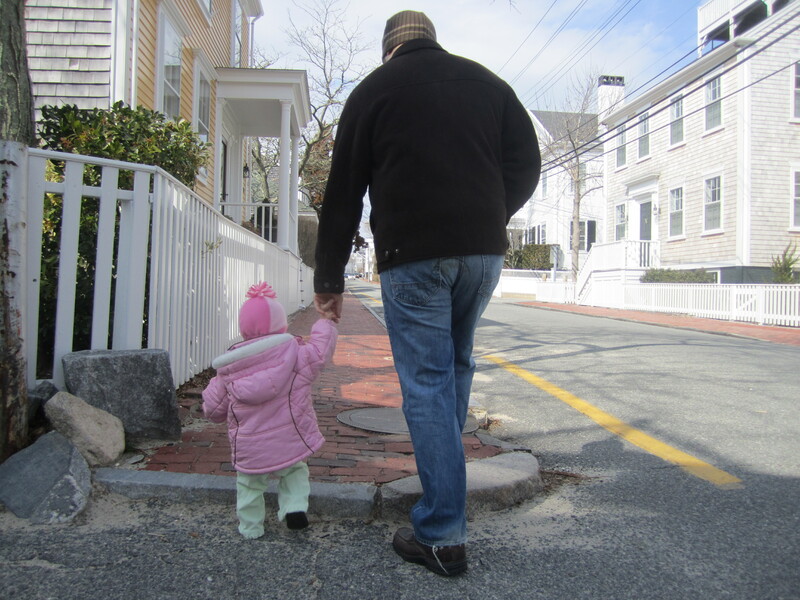 In the morning, she walked from our house almost to the row-houses on Orange (almost to Main St. – about a half mile), and in the afternoon, she walked from our house to Cumby’s and back (another half mile). Chris said if he hadn’t had her turn around at Cumby’s, she would have kept going. I am still just amazed at all that she can do. 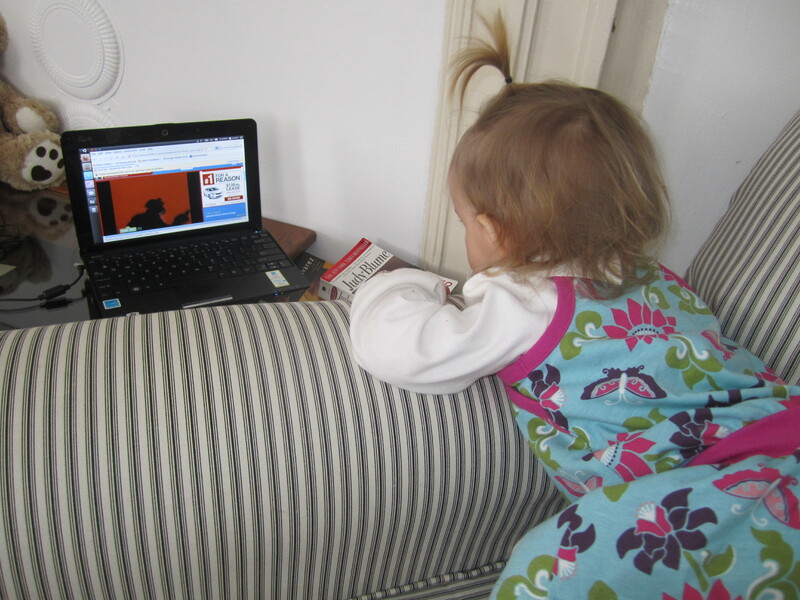 Eighteen months ago, she was turnip baby; six months ago, she couldn’t even walk; and now? Now she walks a mile with no problem. that’s so cool! I’m glad that she holds hands, Aria does sometimes…… but only until she sees something she needs to sprint to.